I haven't posted for a while - I will be uploading a resource soon that I use as a way to keep interest in practising and perfecting work. For now, here is a simple Christmas resource. I do like some Christmas themes to my work though. Just like this post from solve my maths. 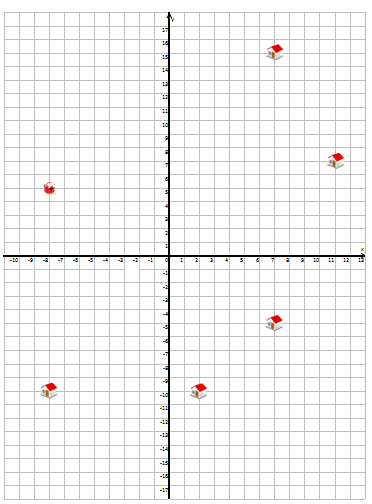 Here is a simple task on working with and finding equations of lines. There are two tasks, and the first one is differentiated to allow easy entry. 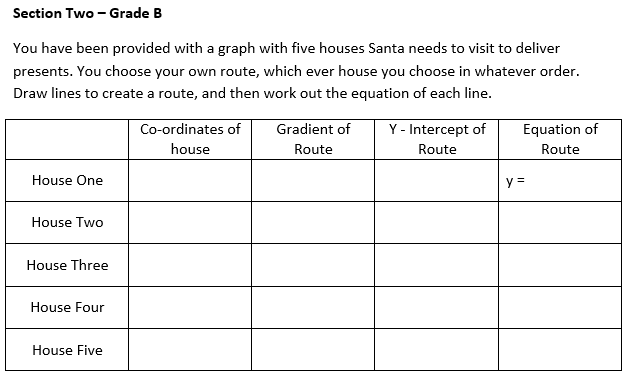 Basically, Santa needs to plot his 2D Cartesian route between houses (obviously) and does it by plotting equations. In the harder task: you are required to find the houses, having been given some information about the lines that need to be plotted. All the documents are available here - including answers for the harder task.